The following are bios and testimonials for various Professors who have been wrongly terminated from Dixie State University. This page is constantly under construction as new testimonials are added. You can add a testimonial with the form at the bottom of this page. Former DSU President Lee Caldwell has written a letter regarding these men and the surrounding events. You can read that here. Glenn was always there for me when I was in need. I am a non-traditional student and class schedules don’t always work for me. Whenever I had a conflict he was always there helping me figure things out. He was someone I knew I could go to for anything. Ken is the most amazing, positive individual I know. He has a passion for music that is incomparable to anything I have seen. This love is contagious, as I found myself lost in the music, constantly discovering new amazing pieces to perform. I was originally a pre-med major before I switched to music and because of Ken I never looked back. When Glenn was put on leave the second week of the semester I was in shock. There were many student recitals scheduled this semester and he was in charge of all of them. I went to the dean with my concerns about not having my senior recital mentor available and he said we would trust in my vocal teacher Ken to get me through it. Well now I no longer have Ken. It feels like a huge slap in the face. Dr. Webb was a tenured professor at Dixie State University for a decade, serving as the sole Chairman of the Music Department. He directed the Jazz Band and Percussion Ensemble at DSU. He is an endorsed artist for SABIAN cymbals. Professor Webb received his Doctor of Musical Arts in Percussion Performance from UNLV. He received his Master of Music in Percussion Performance from the University of Utah and a Bachelor of Arts in Music Education degree from Weber State University. Webb is the leading new music percussionist in the Intermountain region. He is the percussionist and Co-Artistic Director of Grand Circle New Music. Webb is the house drummer/percussionist for the Tuacahn Center for the Arts, performing for 2,000 patrons six shows a week. 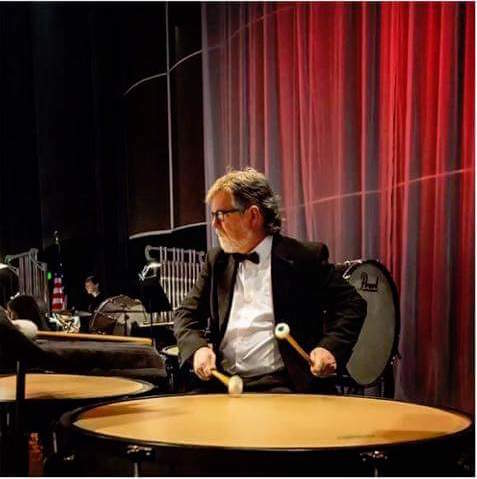 He has also been a solo percussionist with the Utah Arts Festival Chamber Ensemble, Canyonlands New Music Ensemble, Utah Symphony and Opera and, formerly Principal Percussion with the Utah Chamber Ensemble and Ballet West. Webb serves on the Board of Directors for the Southwest Symphony Orchestra and The DiFiore Center for the Arts. During the 2002 Winter Olympic Games Glenn was a featured performer in the 2002 Cultural Olympiad with the Jose Limon Dance Company and Repertory Dance Theater. In April of 2009 Webb performed the American premiere of Lee Actor's Concerto for Timpani and Band with the Dixie State University Symphony Band. Dr. Glenn Webb was terminated from his position at Dixie State University on March 2nd, 2018. I went to school at Dixie State University (formally Dixie State College) in the fall of 2006. I have always loved music and singing and sought to audition and join the “Chamber Choir”. I remember being extremely nervous as I had never sang with an actual high school choir, being home schooled I didn’t pursue it (other than singing with church groups). I believe Ken saw that I had talent but needed coaching and as Chamber Choir was the more advanced group of singers at Dixie, he was taking a slight gamble in giving me a chance. With Dr. Peterson and the Chamber Choir I was able to grow and learn musically in ways I had never before. I learned about my voice (Alto to Mezzo Soprano), learned to appreciate beautiful music (Frank Ticheli, Earth Song) and I shared this knowledge thru solo voice performances. Dr. Peterson was a tenured professor for 16 years, where he was the director of vocal activities at Dixie State University in St. George Utah. He directed choirs, taught voice and voice related courses and served as the music director for university musicals. He received his Bachelor of Music degree in voice performance from Utah State University, his Master of Music degree in voice performance from Illinois State University, and his Doctor of Arts in voice performance and pedagogy from the University of Northern Colorado. Prior to coming to Dixie State, Dr. Peterson was a professor of voice at South Dakota State University, and music department chair/professor at Aims Community College in Greeley Colorado prior to that. An accomplished conductor and an awarded music director of the musical stage, Dr. Peterson has been an active member of the National Association of Teachers of Singing since 1990 and is a published researcher in the field of vocal pedagogy. As such, he was invited in June 2002 to present his original research in respiration at the Voice Foundation's annual symposium in Philadelphia. As a singer, tenor Ken Peterson has performed throughout the United States in recitals, concerts, music theatre and opera. He has performed with Opera Colorado, Central City Opera, Arizona State University's Lyric Opera Theatre, Theatre Company of Arizona, Prairie Repertory Theatre Company, Utah State and Illinois State University Opera Theatres among others. He has also been guest soloist for the Northern Utah Choral Society, Longmont Colorado Chorale, Utah State and Illinois State Concert Choirs, the Greeley Colorado Chorale, and the Southwest Symphony and Chorale in addition to others. As a conductor, Ken is thrilled to have served as principle conductor of the Southern Utah Heritage Choir alongside his accomplished friend and colleague Dr. Nancy Allred who is the choir's Artist Director and piano accompanist. I have known Varlo Davenport for 17 and one half years in various capacities, first as my husband’s professor, then as my husband’s superior, then as my professor, and finally as my superior. Varlo and his wife Andrea were institutions in Southern Utah, and have had such a great impact on my life, and many others. Fourteen years ago, my husband was a student at Dixie. Varlo and Andrea both joined the Theatre Department. They created a familial environment, opening their doors and their hearts to the students, some of whom were away from home for the first time. Varlo and Andrea were like surrogate parents, even hosting Oscar parties and holiday dinners for students who could not make it home. A year later, my husband joined the Dixie College staff. For years, I watched the Theatre Department grow and thrive under Varlo’s direction. I helped in various capacities: building set pieces, sewing costumes, and painting scenery. I was privileged to witness Varlo interact with students. He did great work, helping them to break down barriers and ringing emotions out of their acting scenes like water from a sponge. If ever Varlo was upset, it was strictly in a typical professorial way. He showed anger or frustration in a ordinary, professional way. In 2009, I resumed taking classes at dixie. At Varlo’s urging I enrolled in a costume class and found my passion. My junior year, the costume faculty informed me that I had been chosen to costume design for the fall show, under Varlo’s direction. I was ecstatic at the opportunity, but surprised because there were numerous other costume students. Throughout the summer. I worked tirelessly designing costumes, attending productions meetings, and meeting with the Varlo one-on-one to make sure my designs fit his concept for “Noises Off!” I had begun building costumes when we learned that we ended up not getting the rights to do the show. We were all disappointed, but Varlo moved on, picked a new show, and the process began again on “The Foreigner”. I spent the entire summer and early fall in the costume shop. It was difficult, because the costume faculty had quit without giving the college sufficient time to hire a replacement, so Varlo acted as my only mentor through it all. Throughout designing, attending meetings, producing the costumes, and running the show, Varlo was my superior. I worked closely with him. I worried that I might disappoint because this was my first time costume designing. If I did, he never let on though, because he was an amazing and supportive director to work with. He must have enjoyed working with me as well, because the following summer, Varlo hired Grace Wells and myself to co-design the costumes for the two Comedy Storm shows. Again, we lived in the costume shop: designing, building new costumes, and altering old ones. Varlo was such an amazing director to work with. Grace and I would think of our concept, Varlo would think of his, and they were nearly identical. It was really fun to go into meetings where everyone had the same idea to put someone in a pirate shirt for fun. I enjoyed every level of my professional costuming experience with Mr. Davenport. In my years at Dixie I was greatly affected by Varlo. I was an actor in two of his plays. I built costumes for six or seven of his shows, costume designing for two. I was in six of his classes, including Acting II which changed my life. I even travelled across an ocean for a 14-day theatre trip to London and Edinburgh. If you want to know a man, travel across an ocean with him. I have experienced so many levels of Varlo: happy, sad, bored, amused, frustrated, exhilarated, angry, and enlightened. And I was happy to be there for all of them. Varlo Davenport served for many years as the head of the Theatre Program at Dixie State University, (DSU), where he oversaw the transition from a two year to a four year degree granting program, and rapid program growth. During that same time he assisted in the founding of The Neil Simon Festival in Cedar City, and The Space Between Theater Company in St. George, and DSU’s summer theater program, Comedy Storm. While there he organized and hosted major regional conferences, and also planned and lead an international performance tour. He was the Producing Artistic Director for The Outlaw Trail Theater, co-sponsored by Utah State University and the Uintah Arts Council in Vernal. There he was responsible for artistic, financial, and personnel management, advertising, promotions and grant writing. His grant writing had a 90% success rate. He also assisted in founding an Arts Council in nearby Roosevelt, Utah, and served as resource coordinator for the region’s arts organizations. During his tenure there, the Arts organizations in both communities experienced significant increases in programming and attendance. Varlo has served as a member of the Theater Grants Review Committee for the Utah Arts Council, and also on the nomination committee for The Governor’s Award in the Arts. He was a Circuit Coordinator for the Kennedy Center American College Theater Festival’s Region Seven, and served that organization in several other capacities also. Varlo Davenport was terminated from his tenured position at Dixie State University in 2014 without due process. He was acquitted and cleared of all charges, but the University refused to re-hire him. You can find more information about his ordeal on the "Timeline" and "Links" pages of this website. My Dixie roots run deep. My father was in the first class of Dixie in 1911. My mother sang in Dixie opera in the 1920s, got her teaching degree at Dixie, and taught elementary and music for 40 years here. I played for choirs and graduated with the music award In 1954. I have had 8 children go to Dixie, 6 of them graduating, when it was a 2 year school. I grew up here, and lived 57 of my 83 years here. I played for many of Ken’s vocal students in private lessons and recitals ever since he came here 16 years ago. We became personal friends during that time also. He has been such a fine, honorable, and inspiring teacher to so many, many fortunate students that when I heard about this last Friday, I decided to come back to Dixie and give my support. I moved up to West Bountiful last April, to live with, and near 5 of my children, but Dixie is in my heart. My late husband, Wayne D Eckman, the recipient of the most loyal sports fan in 2011, and I were on the Dixie College theater council for over 10 years in the 1980s and 1990s. I was appalled at Varlo’s termination, and raised my voice then for him! Now to have the Dixie State University terminate Ken and Glenn, and in the same way, with such flimsy and unsubstianted reasons, it makes me sad, nostalgic, and at the same time very frustrated and angry that this is done. Not only does it hurt Ken and Glenn, casting a black eye on two very honorable and trust worthy men, but it destroys the wonderful Dixie Spirit, and literally shakes the foundation of many student’s educations! Many are scared about graduating, their beloved teachers and classes just vanished, IN THE MIDDLE OF A SEMESTER! What kind of administration could do this? If you wish to remain anonymous, please type "John Doe"